It's Your Move: This book provides the reader with a selection of puzzles to solve. However, unlike other books of the White to play and mate in three' variety, it simulates real game scenarios, offering readers a choice of tempting alternatives and requiring them to pick the best. 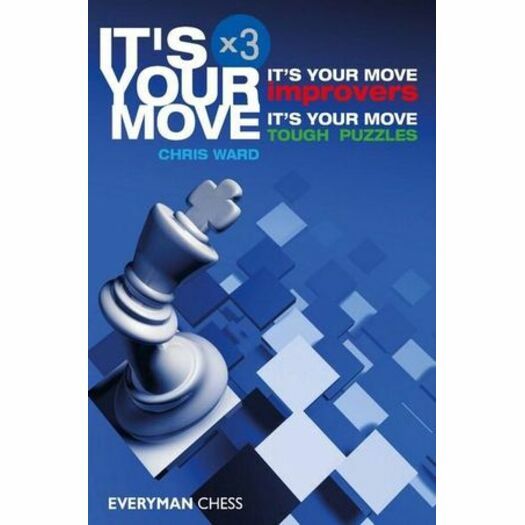 It's Your Move Improvers: In this highly original and instructive test yourself book Chris Ward invites readers to solve a selection of carefully chosen puzzles. In this, the second book in the series, the positions are aimed at improving players, specifically the low-level club players who are looking to hone their skills in order to climb further up the chess ladder. The reader is given a choice of five plausible plans for each position and has to decide which is the most likely to succeed. The answers then identify the most promising plan and explain why the other choices are less attractive. It's Your Move Tough Puzzles: The puzzles might be a bit more difficult this time but, in the same style of the previous two books, the reader is once again helped by the choice of five plausible plans and has to decide which is the most likely to succeed.